Advice, guidance and resources to help you fund raise for the St. George's Kidney Patient Association (SGKPA) charity. Choose a date and allow time to organise your activity. Weekends are usually best, but Fridays are good if you’re fundraising at work. Think about the kind of space and facilities you’ll need to suit the number of people. Book your venue in plenty of time and mention that your event is for charity. Often you’ll be able to pay less or get it for free. Decide how you'll approach raising money. For example doing something energetic, getting together with friends, colleagues, or just in a group. Create a budget and stick to it! List all expenses and think about how much you need to charge for tickets to reach your target. Ask local businesses if they would like to support you. Set a fundraising target. It’s a great way to motivate people to give generously. Decide on the amount after taking off expenses. Promote what you have planned by word of mouth, email, social networks and local press. Set up an online fundraising page. It’s the easiest way for people to support you. Adding a video, photos or a powerful message will encourage people to support you. Start fundraising online. Ask your sponsors to tick the Gift Aid box on your sponsor from. It allows us to claim at least 25p from the government for every £1 donated. Ask your employer to match the amount you raise. Lots of companies take part in matched giving and it could double the money you raise. Don’t feel guilty about asking people to support you. Many people have been, or will be, affected by kidney disease in some way and you’ll be giving them a chance to help. Remember the lost million! Kidney Research UK estimates that there are as many as 1 million people in the UK with undiagnosed Chronic Kidney Disease. Get inspired with some of our fundraising ideas. 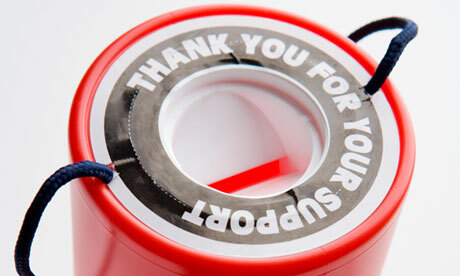 When telling people about your event remember to include the link to your online fundraising page. Explain how they can help and keep them updated on your fundraising progress. Word of mouth is one of the most effective kinds of promotion, so tell everyone in your neighbourhood, social club, gym or office what you’re doing and why. Put notices in your staff or social group newsletter and use the SGKPA branded poster below to promote your event on community news boards and anywhere else you can think of. Email your friends and colleagues asking for support. Follow up with a phone call or in person and keep them updated on your progress. Use social networks, such as Facebook and Twitter, to tell people about your event and encourage them to raise money for our life-saving & enhancing work. Post a link on your profile and get the word out to your friends and people they know. Get noticed in local media. Contacting your local media is a great way to spread the word and attract more support. What is the charity raising money for? The charity is constantly funding surgical technology, transplant aids and medical equipment for patients on the wards. For examples of what we have bought previously see here. We will add fundraising packs and posters you can print out as they are developed here. 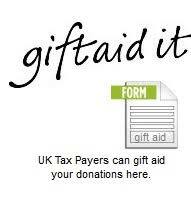 You can find gift aid forms here.